In the continuing partnership between Discover Baja and Corazón de Vida, we ask for your support as we help to furnish the new dormitory for the children at Rancho de los Niños to call home. Help by purchasing needed items on Amazon. 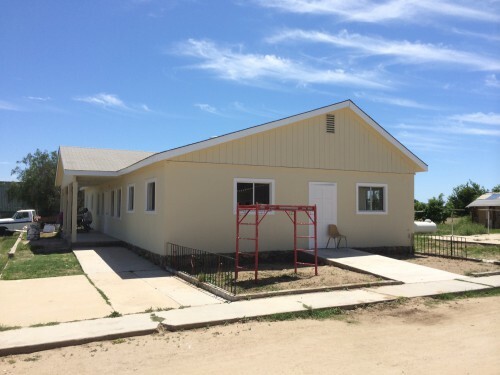 We’d like to send a huge thank you to so many of you who generously donated money to help build the children at Rancho de los Niños orphanage a new dormitory! We spent a day with Corazón de Vida to see the kids and to check out the new dorm. The dormitory is beautiful and almost finished (see photo of exterior). In order to help make the dorm a home for these kids, we’re asking you to help us equip the dorm with bedding, linens, towels, etc that are needed. You can see a list and purchase these items here on Amazon. Items purchased through the link will be sent directly to Corazón de Vida who will take them down to the orphanage. 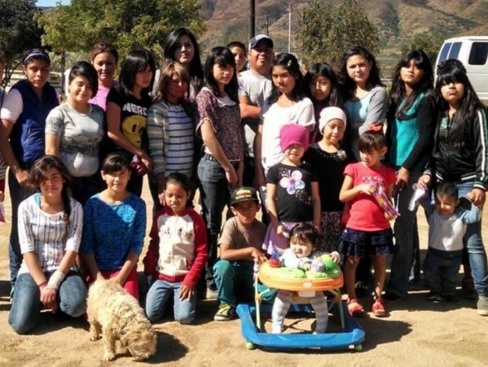 In January of 2016, a Valle de Guadalupe orphanage that Corazón de Vida supported had to shut its doors. This was a home for teenage girls, a difficult age group since most orphanages don’t take kids older than 12. Fearing that the girls would be sent to various orphanages and possibly even rehab centers, another Corazón de Vida orphanage, Rancho de los Niños, took in the 20 displaced girls, even though they didn’t have the space for them. The girls are temporarily housed in the volunteer dorms, which are one step above a camping site. As difficult as this move has been for the girls, they are settling in, glad to be together and able to attend the same schools and be around their friends. The new dormitory will be a permanent home for these girls. You can help out by purchasing items that are needed in order to help make the dorm a home for these children. Rancho de los Niños (formerly Casa de Paz) is an orphanage located in the Valle de Guadalupe, about 90 minutes from the San Diego border. The home is located on several acres of open land. They now have 85 children in their care. Jorge and Ely Fonseca, who were both raised in the orphanage, now run the home as the directors. The issue of child abuse, neglect and abandonment is a world-wide issue. According to the UN over 150 million children are abandoned and living on the streets worldwide. In Northern Baja’s area of Mexico alone, over 6,000 children live on the streets or under dangerous/abusive situations, and thousands more live in extreme poverty. Mexico currently does not have the social programs that we have in the U.S., no foster care programs, no welfare system, so the only way to care and support children in need is through a network of private orphanages, funded entirely through individual and corporate donations. Corazon de Vida (CDV) is a 20+ year U.S. 501c3 non-profit organization providing life-changing support for orphaned and abandoned children in Baja, Mexico by funding local orphanages, providing quality of life improvement services and investing in the children’s future by funding higher education. Through their life-sustaining program they provide monthly funding for the orphanages under their care. These orphanages give abandoned children security, nutrition, shelter and access to a reliable education. They also fund scholarships for teens aging out of the orphanage system to continue their education. They provide consistent, monthly support to 10+ orphanages, housing over 700 children. Their university program currently has 45+ past orphanage residents in college or technical school, and serving as role models to their younger ‘siblings’. We are on a mission to break the vicious cycle of poverty from perpetuating child abandonment.